Reformed Church of the Holy Trinity: Why Do You Hate Us? Solomon shows the true nature of lying tongues—hate! Yes, those are strong words and difficult to contextualize. Gossip, slander and character assassination have become the American pastime and so we just accept it as virtue instead of seeing the true nature it reveals. The reason for these shocking associations is because character assassination is a violation of the Sixth Commandment. It is a form of hatred and murder. We have recently become aware of some false information that is being spread through social media about Reformed Church of the Holy Trinity. These falsehoods continue to be passed along without anyone to date inquiring directly to us. If anyone had cared to do so, rather than just feast upon the juicy information, we would have gladly given an answer to any questions concerning our faith (1 Peter 3:15). However, this type of gossip and slander only proves part of our message we are seeking to cry from the highest hills, namely, one of the biggest problems in the Church today is a lack of love for the brethren. Tribal head-hunters are lurking behind every bush to cannibalize their own brethren. Instead of feasting with you, Christians would rather feast on you. The Church has become vindictive and bloodthirsty against its own. Like David, if it was the ACLU, Southern Poverty Law Center or some other anti-Christ group speaking lies against us it would be no big deal. This is what we expect. What is difficult is these daggers made of tongues are not coming from the wicked but our Reformed brothers and sisters. David expressed his discouragement due to a friend who betrayed him. There is a very hateful spirit that has engulfed the Church, yes, even the Reformed Church. It is a war of brother against brother and no one even knows why. We just continue to repeat the second and third hand information that spreads through the internet. Things that would never be said to our face are repeated due to the lack of accountability the internet affords. Yes, these are the sins for which we have been condemned as heretics. Though the stakes are high, no pun intended, are they really worthy of squandering all the resources to tar and feather us? Are there really no more important issues to deal with than this? Despite the foolishness of the accusations, we will give an answer to the charges, although the guilty verdict has already been rendered in many cases. No one dares explain what they mean by the accusation that Reformed Church of the Holy Trinity is favorable to Catholicism. If they mean that we adhere to the 1689 Second London Confession of Faith then we are guilty as charged. This statement comes directly from the Westminster Confession of Faith. The London Baptists restated this and most other sections from the Westminster Confession to affirm their solidarity with the Reformed Faith. Even back then in the 1600’s the rumor mill was in full operation as the London Baptists were being slandered as Anabaptists. Unfortunately, even this falsehood is still being repeated today. We do unashamedly confess we are catholic. However, it is important to note that we are not Roman Catholic. While our Reformed fathers did come out of the Roman Catholic Church due to its apostasy, this does not change the fact that the true Church is catholic. What this simply means is it is universal or apostolic. And no, we are not Pentecostals either. It is really hard to have a conversation about certain topics because of the tag lines that get associated with certain issues. Terms are important because they help us define issues. Problems arise, however, when everyone has their own definitions for certain terms like Dominion Theology. Therefore, it makes it impossible to say whether we adhere to Dominion Theology or not. It all depends on who is defining it. So, all I can really say is that we agree with Charles Spurgeon and John Gill that the Gospel is victorious. Yes, we agree with the Psalmist who wrote, “God shall bless us; and all the ends of the earth shall fear him” (Psalm 67:7). We agree with David who wrote, “All the ends of the world shall remember and turn unto the LORD: and all the kindreds of the nations shall worship before thee. For the kingdom is the LORD’S: and he is the governor among the nations” (Psalm 22:27-28). We agree with Jesus who assured His disciples that “the gates of hell shall not prevail against” His Church (Matthew 16:18). Because of this faith in the supremacy of Jesus Christ, we testify to the nations “repentance toward God, and faith toward our Lord Jesus Christ” (Acts 20:21) believing that God will “open their eyes…to turn them from darkness to light, and from the power of Satan unto God, that they may receive forgiveness of sins, and inheritance among them which are sanctified by faith that is in [Christ]” (Acts 26:18). If that is Dominion Theology then once again we are guilty as charged. We believe that all power has been given unto Christ both in heaven and in earth (Matthew 28:18) and He is presently sitting on the right hand of God in power making His enemies His footstool (1 Corinthians 15:24-28; Hebrews 10:12-13). I have no idea where this charge came from or why. I guess the purpose of the slander is to associate us with Roman Catholicism. Only one problem, CS Lewis belonged to the Church of England. However, his Roman Catholic friend J.R. Tolkien was instrumental in converting Lewis from atheism to Christianity. Still yet, Lewis considered himself an orthodox Anglican the rest of his life after his conversion. Today many like to argue whether Lewis espoused Roman Catholic doctrines in some of his works. This is not a debate I have ever engaged in and quite frankly do not quote from or use any works from Lewis. At any rate, most of his works are largely orthodox and have value to Christian apologetics. As a family we have enjoyed the movies based off his books in the Chronicles of Narnia and even his friend J.R. Tolkien’s The Lord of the Rings. Our children have also enjoyed the books. Yet, if this is the cause of the accusations there are several people who need to get a life. But, if watching the movies makes me a defender of everything CS Lewis I guess it will not be long until it is off with my head. In all the discussions it is apparent there is one major doctrine that has been forgotten. 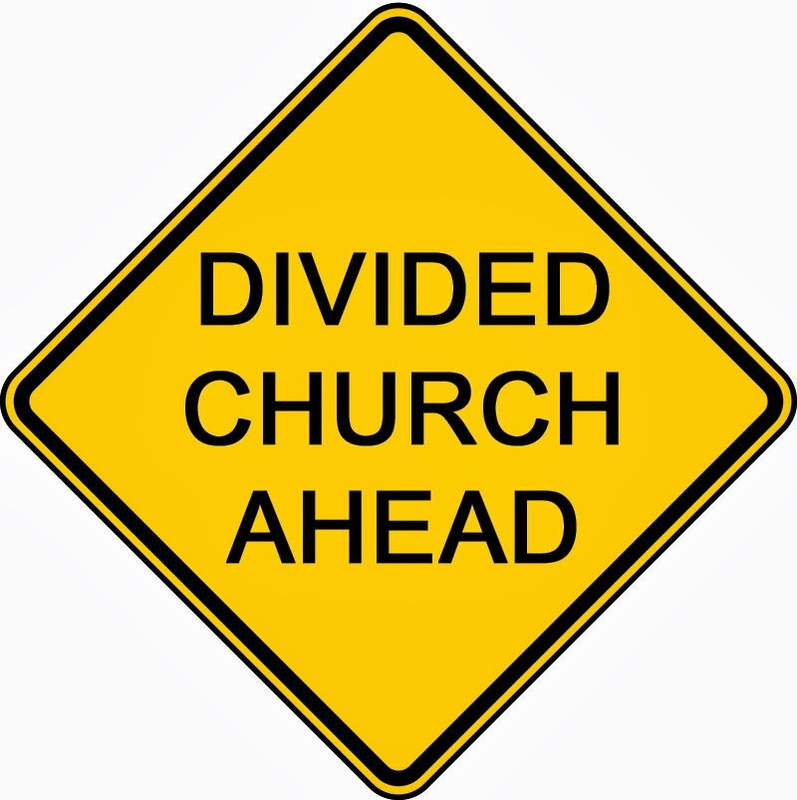 Reformed Church of the Holy Trinity believes it is time to restore true Christianity. If this makes us heretics within the modern apostate Church, so be it. This love for the catholic or universal Church should not be construed as some sort of liberal ecumenicalism. We are not advocating the abandonment of doctrine for unity but the unity that comes from the Faith. We not only believe it is possible for the saints of God to walk in fellowship and unity but that it is commanded. Oh no, “commanded!” Does that mean what I think it means? I guess I will have to deal with legalism, theonomy, theocracy and anything else associated with God’s Law in another post. Well, whatever the case may be, wouldn’t it be nice if the Church returned to its Reformed roots in love one for another? Why can’t we have both? Doctrinal fidelity does not verify hate and love does not impose heresy.